Organisers of an exhibition celebrating Glasgow’s role in developing obstetric ultrasound are seeking women who had the first scans while pregnant in the 1960s. The scans, which are now a routine part of pregnancy, were developed in the city in a collaboration between experts in the fields of clinical obstetrics, engineering, electronics and design. 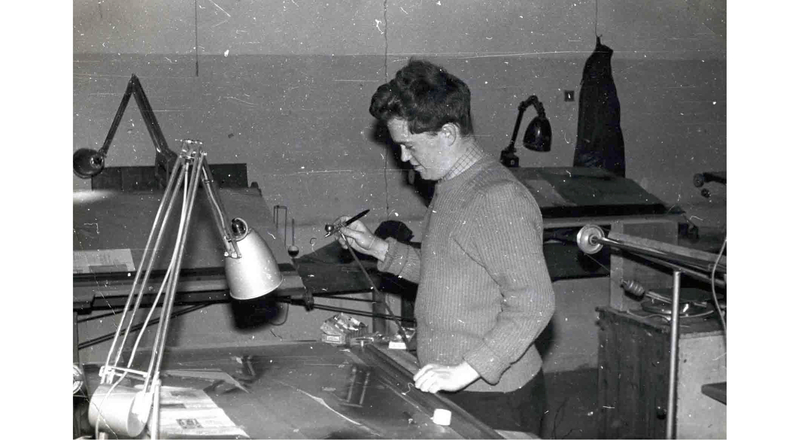 Dugald Cameron, a young designer graduating from Glasgow School of Art (GSA), transformed the industrial apparatus into a manufacturable machine in his first paid commission. GSA said his Diasonograph, developed by Glasgow company Kelvin & Hughes Ltd, was the first ever ultrasound machine for pregnancy to go into production. It was used in the Queen Mother’s Hospital (Yorkhill), making Glasgow the first city in the world to offer the scans in the mid 1960s. The GSA exhibition Ultrasonic Glasgow will celebrate the city’s ground-breaking development of ultrasound in pregnancy, with scans now routinely used to check on the health of mother and baby and detect any abnormalities. Organisers of the exhibition are keen to hear from women who had scans in Glasgow in the 1960s. Susan Roan, a researcher in Communication Design at GSA, said: “As part of an exhibition marking the work of Professor Cameron on the first ultrasound machine for pregnancy, we are keen to hear from the women who had a scan and people who worked with the equipment in the mid 1960s. After a period working in industry, Professor Cameron returned to GSA to become the head of product design, head of design and then director of the art school between 1991 and 1999. Anyone interested in telling GSA about their experiences, with the possibility of their story being included as part of the exhibition, is asked to contact Ms Roan by emailing ultrasoundstories@gmail.com. Contact can also be made by post at The Glasgow School of Art, Communication Design Staff Office, Floor 1, Reid Building, 167 Renfrew Street, G3 6RQ.